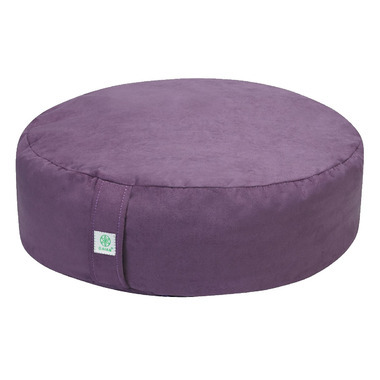 Gaiam Zafu Meditation Cushion will bring a soft touch and comfort to your practice. Designed to improve your position during meditation by stacking your spine while relieving pressure from your knees, ankles, and back. Filled with buckwheat hulls that gently conform to your body's shape and a removable microfiber cotton cover with an easy-to-carry handle. The internal fill bag also have a zipper so you can add or remove filling. Materials: Microfiber cotton cover with organic buckwheat hull fill.